The engine is the heartbeat of your car, truck, or SUV. This central hub of the vehicle affects virtually everything related to functionality, from oil consumption to the dreaded “Check Engine” light. When you’re on the go, the last thing you need is to come to an unexpected stop. Instead, contact the friendly professionals at The Shop Automotive for top-notch engine auto maintenance in Boulder that will leave you, your wallet, and most importantly your car feeling happy and healthy. With more than six decades of experience, we’ve encountered virtually every problem that can occur with an engine and its related systems. Furthermore, our technicians are factory trained by General Motors, Volkswagen AG, Bosch, and master certified by ASE. While we specialize in German and Japanese vehicles, we can perform engine auto maintenance on all foreign and domestic models. Bring in your vehicle today or contact The Shop in Boulder to schedule an appointment. • Oil changes: Most automobile manufacturers recommend that you change your vehicle’s oil every three months and/or every 3,000 miles. This recommendation varies from vehicle to vehicle, but one thing that remains the same is the fact that The Shop is your hub for oil changes in Boulder. Our technicians will get your vehicle up and running to optimal performance. • Oil filters: Part of your vehicle’s health and performance is tied directly to the oft-neglected oil filter. Whether yours is old, faulty, or missing, The Shop Automotive will take care of the issue in a quick and reliable manner. • Timing belts: Hearing that awful, squealing sound again? There’s a chance your vehicle could be overdue for a new timing belt. 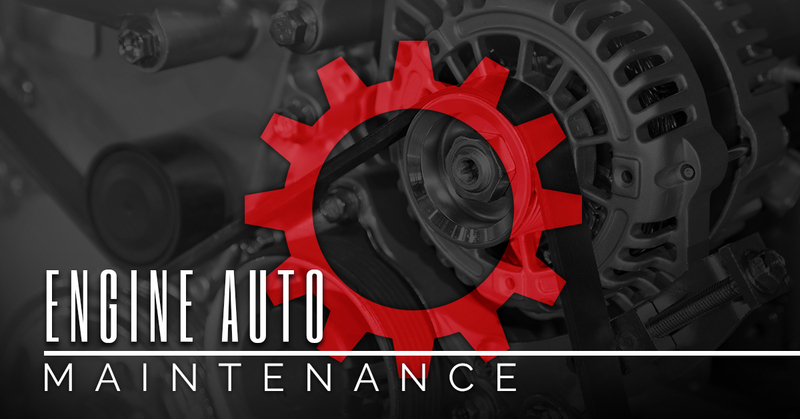 Bring your car in to The Shop and have your timing belt inspected and, if necessary, replaced. • Engine tune ups: But that’s not all. If you think your vehicle could be performing better, or if you notice there’s just something not quite right about your engine, bring it by The Shop Automotive today. We are the experts in engine tune-ups in Boulder, and can handle all things related to your vehicle’s heartbeat. As the Boulder auto repair experts, our team places an emphasis on clear and transparent communication. Throughout every task, we communicate via phone, text, email, or on our website. After the work has been completed, you can rest easy, knowing our 36-month/36,000-mile warranty covers the work we perform. If you have questions or you’re ready to schedule engine auto maintenance service, contact our Boulder auto shop today.